Welcome to this weeks Stamp Review Crew blog hop! This week we are showcasing the Hearts A Flutter Stamp Set. We are all so excited to share our ideas with you. 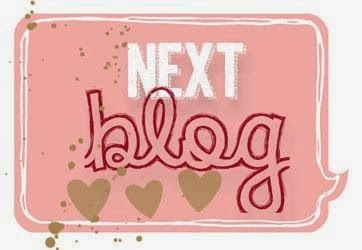 You may just be starting the blog hop or may have come from Debra Burgin heartfeltinkspiration.com/ , on the Stamp Review Crew Hop. If you get off track at any time, the full lineup below will help you move along from blog to blog so you see all of the amazing creations. I hope everyone affected by the winter storm today is safe & warm. So far, here in Southern Illinois we have around 12"-14", but it's hard to determine with the snow drifts. We have a couple snow drifts in our backyard 3' to 4' deep. We haven't received this much snow, that I can remember, since 1982! It's a good time to stay inside and do some stamping. The next stop is Lisa Young addinkandstamp.blogspot.com/ on the Stamp Review Crew! Thanks for visiting! I love these, Beth! The doily works so great with that heart! 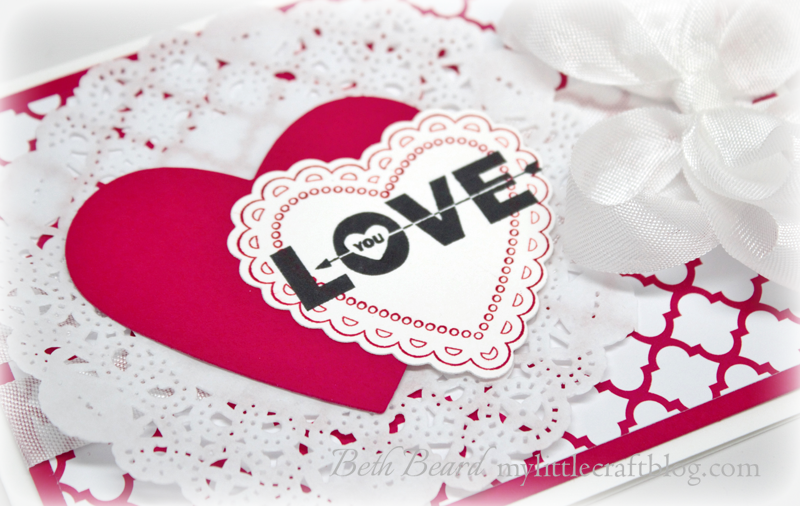 I love the offset hearts on the doily and your bow is fantastic! The little red heart is just a perfect touch! And I love your bow on the second card! Gorgeous! Beth they are so pretty. The first card just pops I love how simple it is but a real wow. Second one gorgeous! Beth, what wonderful combinations! Love them both!! Ooh, I can't pick a favorite! Love them both! Beth, these are fabulous! Two cards and two very different styles that highlight the set beautifully. I love them both but the CAS card rocks! Very lovely! I'm partial to the clean cards, but the ribbon on the foo-foo card is fabby! What great cards! I love how clean that first one is, with just the pop of a red heart! We have the snow too and very cold temps. Love that little banner on your first card and I love your Foo-Foo card! Love your clean and simple cards Beth. Great colors and that bow is fabulous. Great cards, Beth! I am a huge fan of your clean and simple card. Wow! Wow, both cards are great! I love the CAS one but the bow on the "foo foo" one really is an eye-catcher! Clean and Simple or Foo Foo - both cards are lovely! That bow is amazing. love both of your cards....and that both are so different....fabulous bow! Love the look of your clean and bright cards. Your detail touches are perfect! The bow is beautiful!